It’s the last weekend of summer! 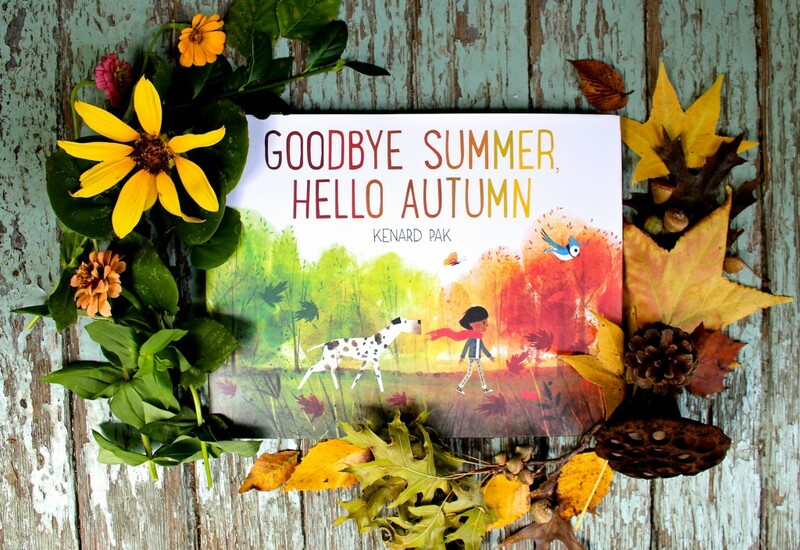 With the official first day of autumn next week, it’s time to bask in summer’s last hurrah and send the season a fond farewell by reading the new picture book, Goodbye Summer, Hello Autumn by Kenard Pak (public library) about the transition of the seasons. 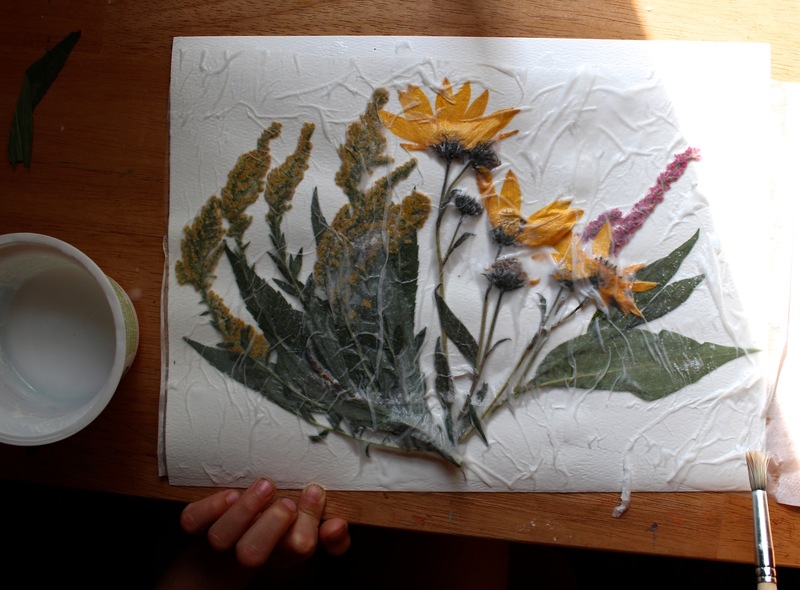 After this fall-ish read, take some time out of your final summer days to go on a walk and preserve bits of summer by pressing wildflowers (tutorial after the book review!). Author and illustrator Kenard Pak first came onto my radar with his stunning illustrations in the picture book The Dinner That Cooked Itself by J.C. Hysu (read this book if you haven’t yet!). 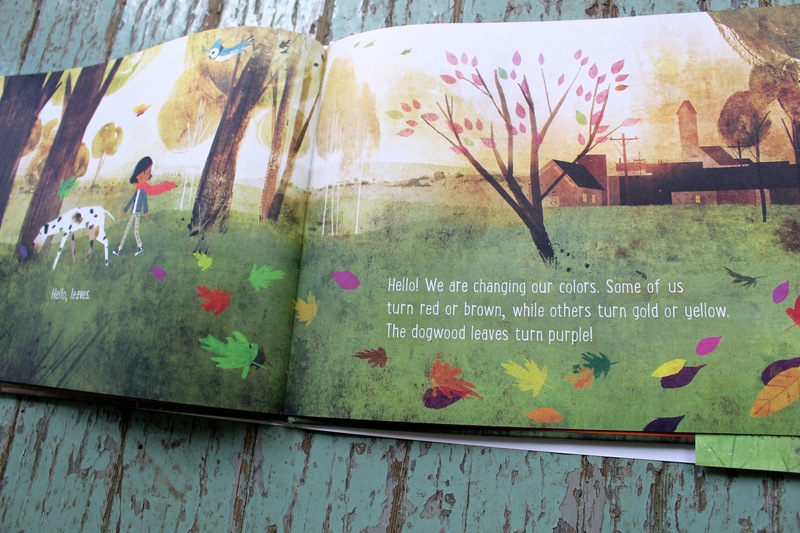 So, when I learned he was publishing his debut book both author and illustrator about the exchange of the seasons from summer to fall, I was eager to read it and it did not disappoint– What an impressive book! Goodbye Summer, Hello Autumn begins on a summer morning with a girl greeting the day: “Hello, late summer morning”. 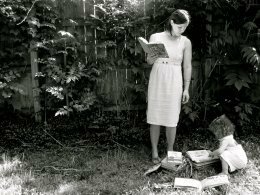 The reader follows her along on her walk as she greets animals in the woods, flowers, a passing storm, each reply with the actions of their autumn preparations. As she makes her way into the town, she continues to address nature’s elements in a quiet, back-and-forth conversation observing the sensations of the day. Goodbye Summer, Hello Autumn is rich in color, softly transforming from vibrant greens of summer to the end of the books’s blazing burnt oranges. The text reads as smoothly as a poem, like a sweet lullaby to summer. What I appreciate the most, what this book does so well, is demonstrate the practice off looking closely and taking the time to notice the world around us wether it’s observing a butterfly or acknowledging a friendly passerby on the street. Afterall, what we observe today might change tomorrow. It’s part of the magic and nature of the seasons and when we notice, we can fully enjoy the show. 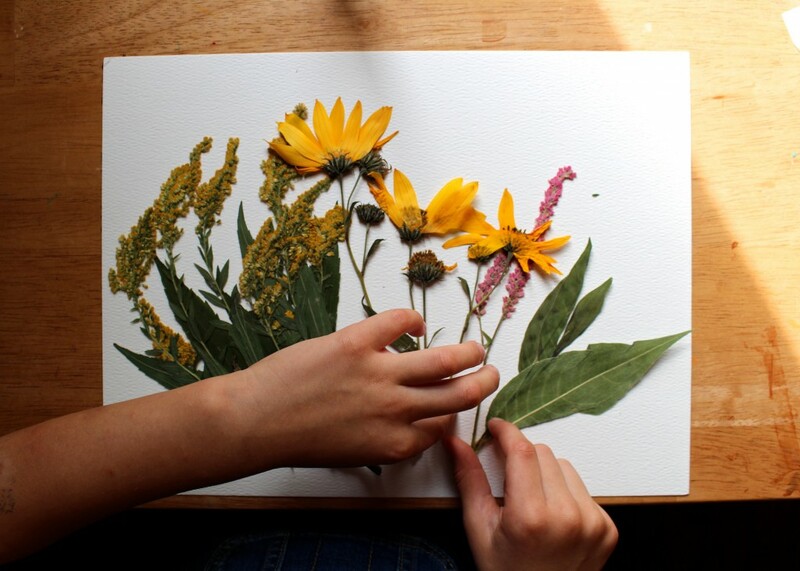 Hold onto the last bits of summer by pressing the end-of-summer wildflowers and leaves. 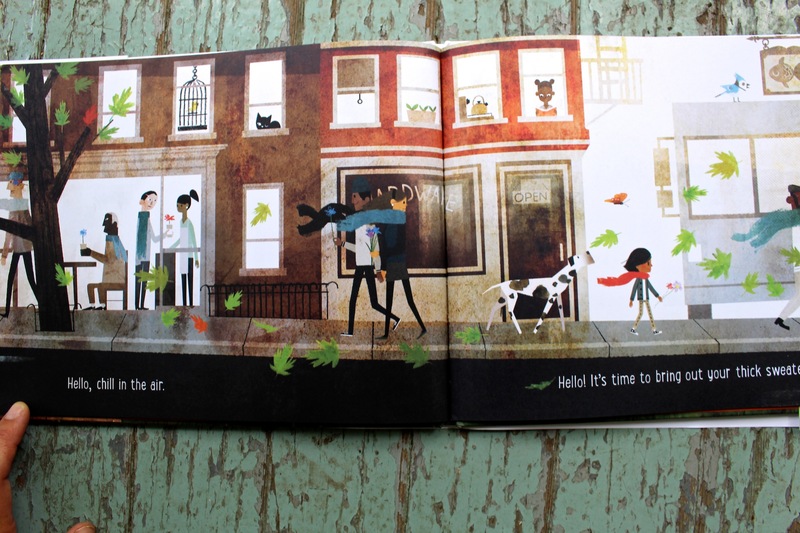 In Goodbye Summer, Hello Autumn, the main character picks late blooming flowers and then hands them out do memebers of the town she walks through. 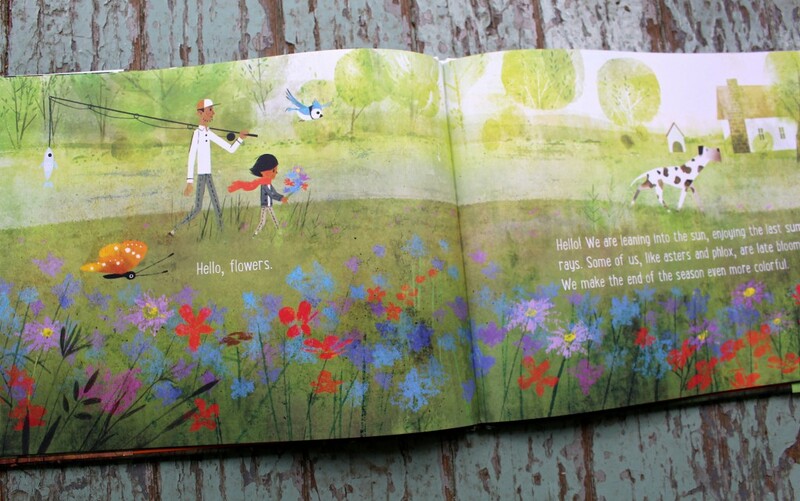 I loved this simple act of kindness, so one way to expand from this book is simply mirroring this action of gifting end-of-summer blooms to people you happen to come across on a walk or throughout your day. 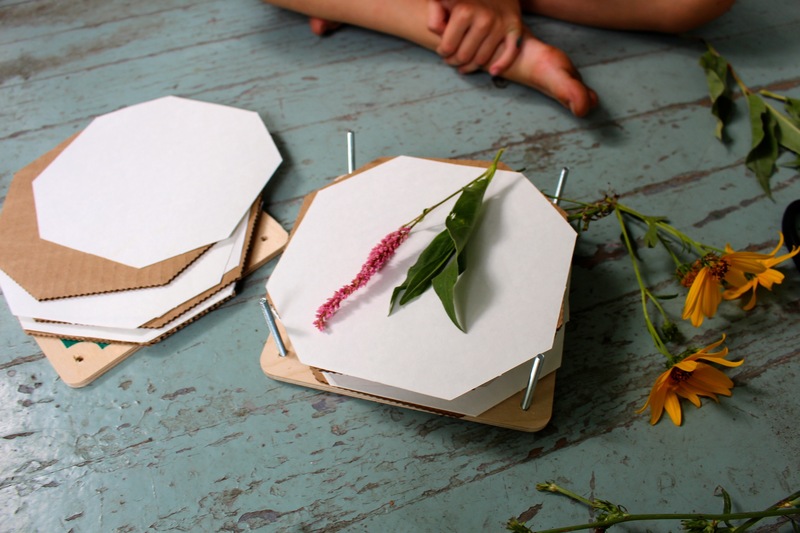 But you could also create a token of the season to keep regardless of the time of year by pressing flowers. It’s a straight forward activity that makes a wonderful gift or decoration in the home. The first step of this project is to take a walk outdoors. Notice the colors all around, smell the flowers, and notice the animals Make sure you only pick flowers where it is permitted. 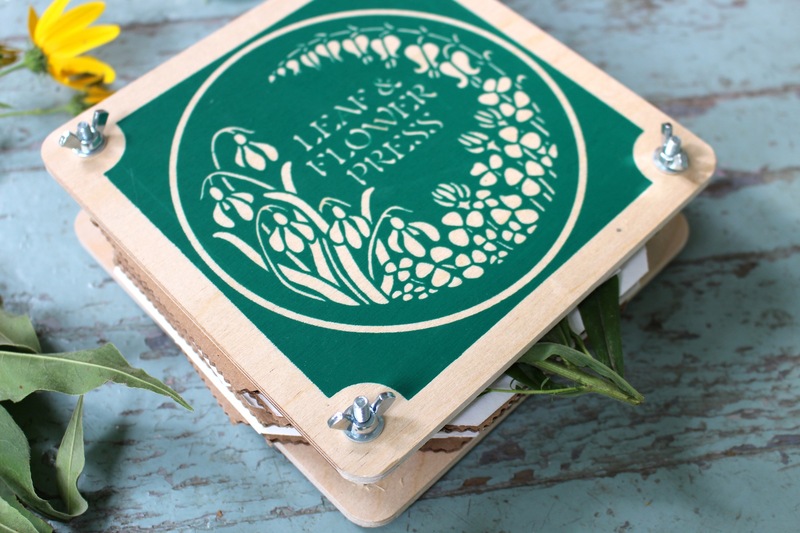 Next, using a flower press or heavy books, press your flowers. 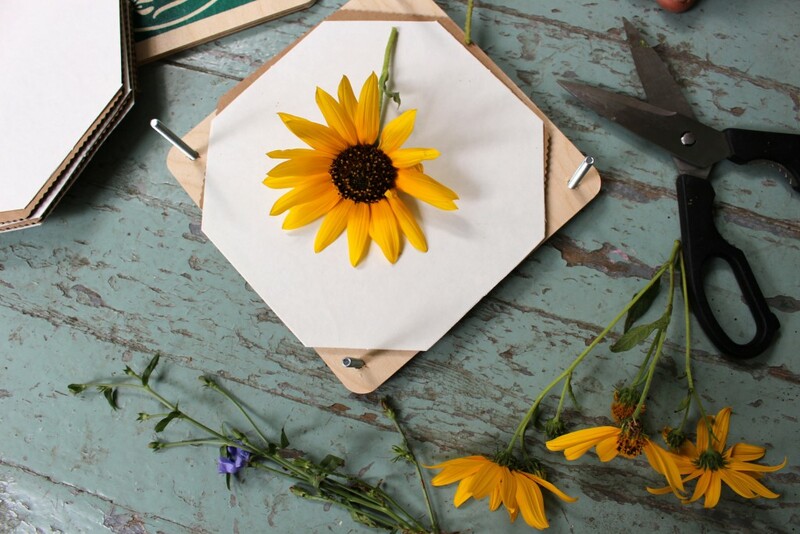 Follow the instruction of your flower press, making sure to use the blotting paper on both sides of each flower. If you’re using books, open a book to it’s midsection and line with parchment paper on both open face pages. 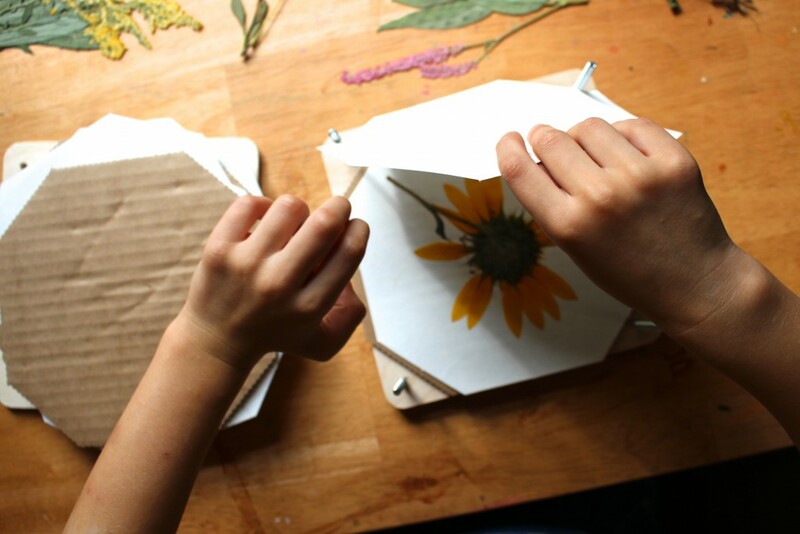 Place your flower on one side and carefully close the book, sandwiching the flower. 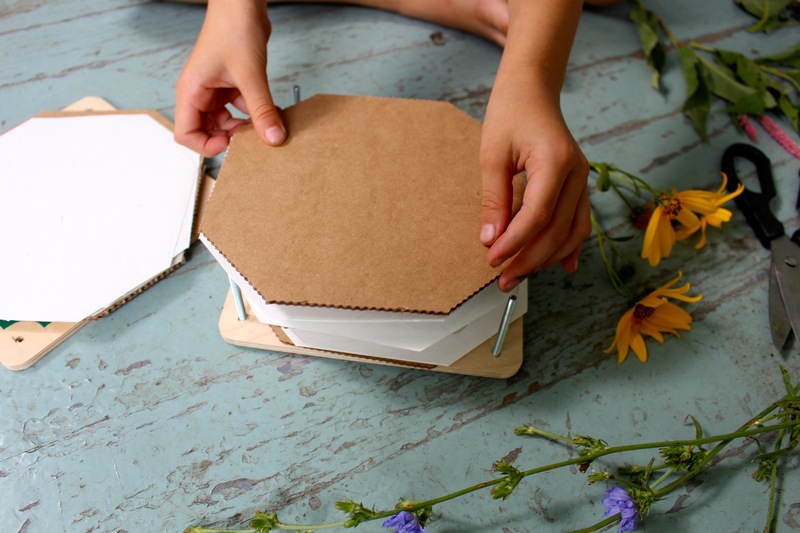 Place several heavy books on top of the book with the flower in a place it won’t be disturbed. Whether you used a flower press or books, allow about a week for our flowers to fully press. This project doesn’t have to be strictly for the end of summer- It can also be enjoyed into the following season! Press colorful leaves you find in the fall their color. This same project can be done with leaves as well. Just make sure you use leaves that aren’t already dried out or you will end up with leaf confetti when pressing, or what my girls call “leaf glitter”. 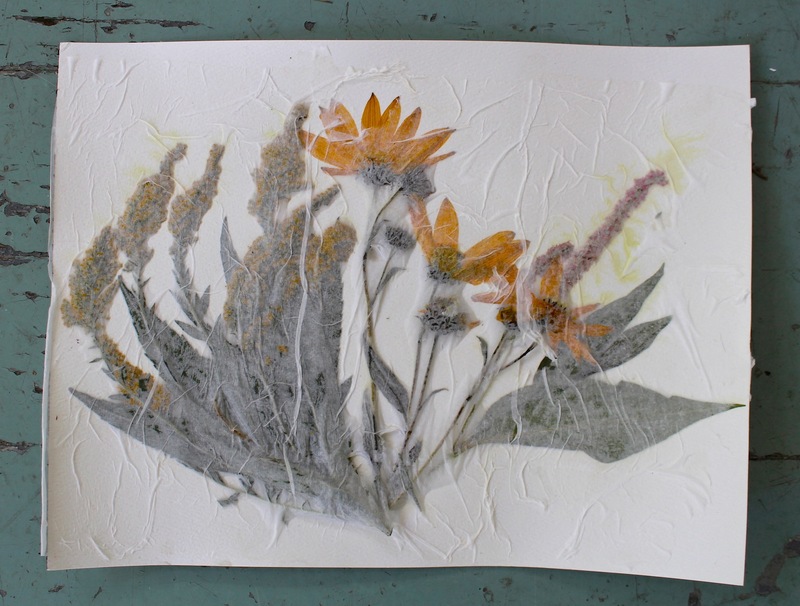 After a week, retrieve your pressed flowers. This part is a bit like opening presents. It’s an exciting surprise to see how they’ve transformed! You can be done after this step or further preserve them by arranging and mounting them to a piece of watercolor paper. 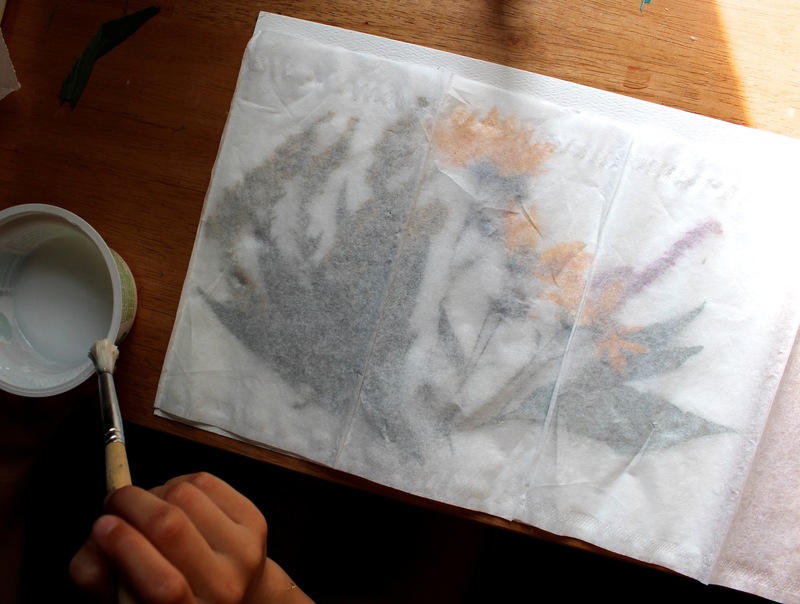 On a sheet of watercolor paper, arrange flowers. You can try to glue them down to hold their place on the paper with a glue stick, but it isn’t necessary. Then, separate a piece of facial tissue down to a single ply and mix a concoction of equal parts school glue and water in a small container (We only used about a tablespoon of glue and water each). Lay the single ply facial tissue over your floral arrangement and with a paintbrush, carefully dab and brush the facial tissue with the glue mixture covering it entirely. 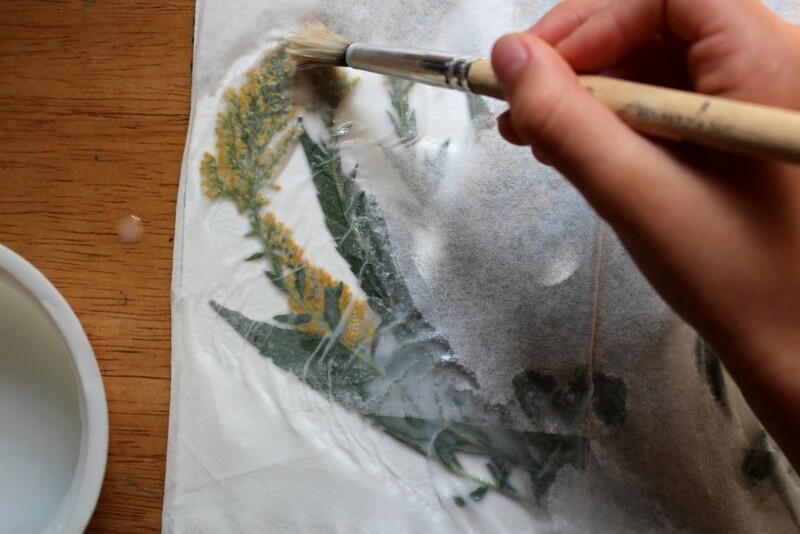 Once finished with the glue process, leave to dry or several hours or overnight. Trim any access tissue around the sides or crop and the whole thing entirely with scissors. Write a message on it, give to a friend, frame, or add as decoration to your home nature table. 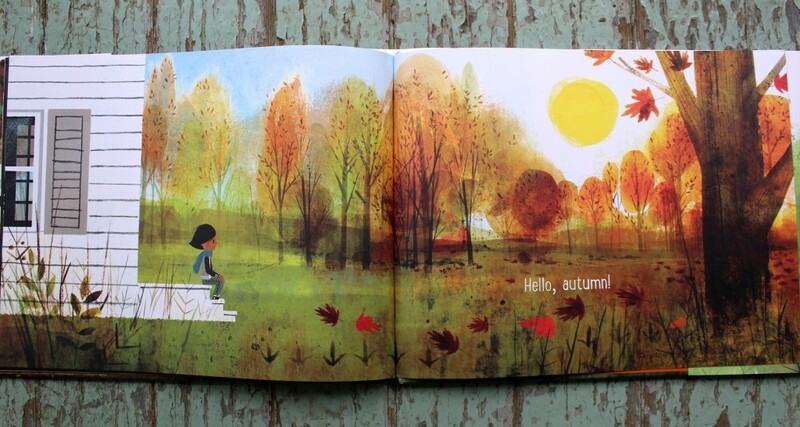 For an extensive list of seasonal children’s books, be sure to browse this autumnal booklist. If you’re looking for more nature activities to celebrate the outdoors, browse these all-ages nature activities for more fall time fun. 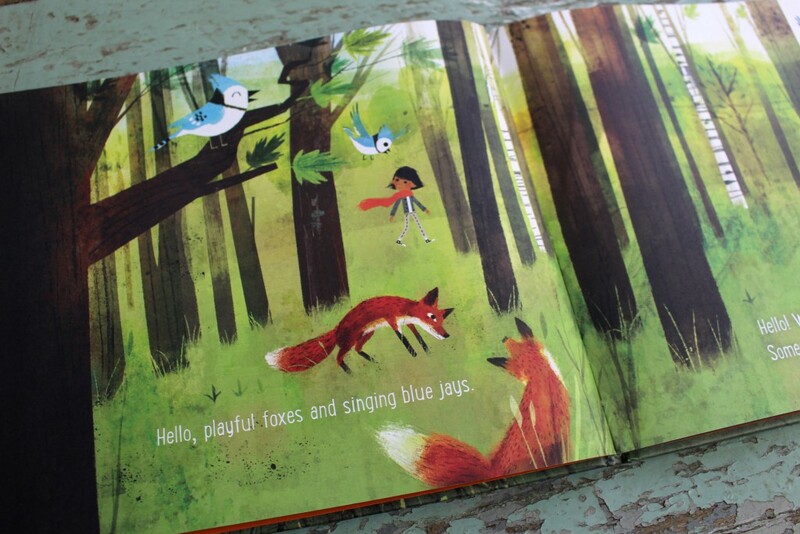 *A big thanks to the folks at Henry Holt Books for Young Readers for providing a copy of this book for review!